Yep! Tuesday flew right past me. 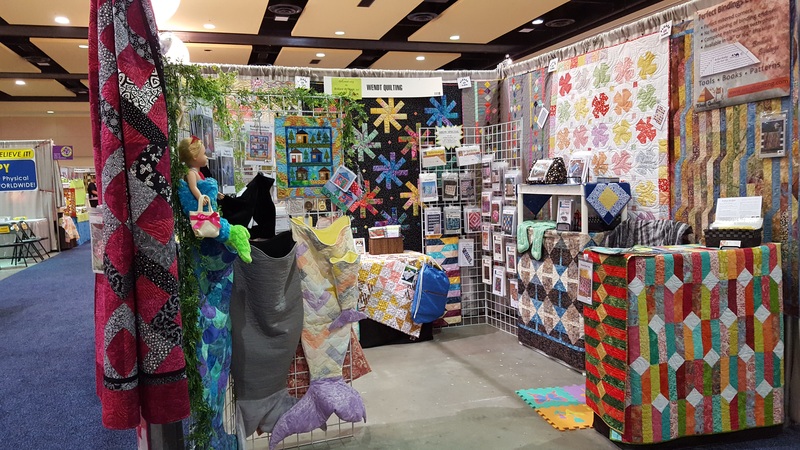 I am in Lancaster for the AQS Quilt Week and yesterday was day 2 of set up. Below is my booth#1118. It is a little different trying to show all the quilts I brought with me. Come by and say hi! Today was the first day of the show. I had a nice visit today with a student from the Lewes, DE guild from a few years ago. 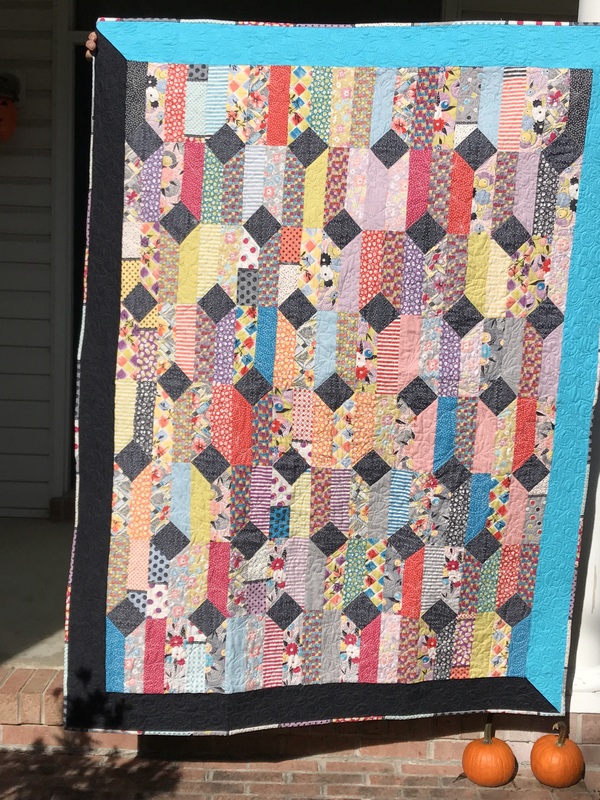 I remember her quilt from class as I loved her fabric choices! I was shopping at the local shop the day before class and I helped her decide on her diamonds for her “Diamond Tipped Tools” quilt. She was kind to send me photos so I could share her beauty with you! Nicely done Cheryl!! I remember faces and fabrics!! It is always a treat to see finished projects! #2- if you see it and like it….buy it! You might forget to go back to “that” booth.